The Lord is kind and full of compassion. he scatters hoar-frost like ashes. Do not think that I have come to abolish the law or the prophets: I have come not to abolish but to fulfill. For truly I tell you, until heaven and earth pass away, not one letter, not one stroke of a letter, will pass from the law, until all is accomplished. Therefore, whoever breaks one of the least of these commandments, and teaches others to do the same, will be called least in the kingdom of heaven; but whoever does them and teaches them will be called great in the kingdom of heaven. 579 This principle of integral observance of the Law not only in letter but in spirit was dear to the Pharisees. By giving Israel this principle they had led many Jews of Jesus’ time to an extreme religious zeal. This zeal, were it not to lapse into “hypocritical” casuistry, could only prepare the People for the unprecedented intervention of God through the perfect fulfillment of the Law by the only Righteous One in place of all sinners. 580 The perfect fulfillment of the Law could be the work of none but the divine legislator, born subject to the Law in the person of the Son. In Jesus, the Law no longer appears engraved on tables of stone but “upon the heart” of the Servant who becomes “a covenant to the people”, because he will “faithfully bring forth justice”. Jesus fulfills the Law to the point of taking upon himself “the curse of the Law” incurred by those who do not “abide by the things written in the book of the Law, and do them”, for his death took place to redeem them “from the transgressions under the first covenant”. 581 The Jewish people and their spiritual leaders viewed Jesus as a rabbi. He often argued within the framework of rabbinical interpretation of the Law. Yet Jesus could not help but offend the teachers of the Law, for he was not content to propose his interpretation alongside theirs but taught the people “as one who had authority, and not as their scribes”. In Jesus, the same Word of God that had resounded on Mount Sinai to give the written Law to Moses, made itself heard anew on the Mount of the Beatitudes. Jesus did not abolish the Law but fulfilled it by giving its ultimate interpretation in a divine way: “You have heard that it was said to the men of old. . . But I say to you. . .” With this same divine authority, he disavowed certain human traditions of the Pharisees that were “making void the word of God”. 582 Going even further, Jesus perfects the dietary law, so important in Jewish daily life, by revealing its pedagogical meaning through a divine interpretation: “Whatever goes into a man from outside cannot defile him. . . (Thus he declared all foods clean.). . . What comes out of a man is what defiles a man. For from within, out of the heart of man, come evil thoughts. . .” In presenting with divine authority the definitive interpretation of the Law, Jesus found himself confronted by certain teachers of the Law who did not accept his interpretation of the Law, guaranteed though it was by the divine signs that accompanied it. This was the case especially with the sabbath laws, for he recalls, often with rabbinical arguments, that the sabbath rest is not violated by serving God and neighbor, which his own healings did. Save me in your love, O Lord. for you are my refuge, Lord. as they plan to take my life. 571 The Paschal mystery of Christ’s cross and Resurrection stands at the center of the Good News that the apostles, and the Church following them, are to proclaim to the world. God’s saving plan was accomplished “once for all” by the redemptive death of his Son Jesus Christ. 572 The Church remains faithful to the interpretation of “all the Scriptures” that Jesus gave both before and after his Passover: “Was it not necessary that the Christ should suffer these things and enter into his glory?” Jesus’ sufferings took their historical, concrete form from the fact that he was “rejected by the elders and the chief priests and the scribes”, who handed “him to the Gentiles to be mocked and scourged and crucified”. 573 Faith can therefore try to examine the circumstances of Jesus’ death, faithfully handed on by the Gospels and illuminated by other historical sources, the better to understand the meaning of the Redemption. Do not treat us according to our sins, O Lord. Do not hold the guilt of our fathers against us. we are left in the depths of distress. O God our saviour, come to our help. Come for the sake of the glory of your name. rescue us for the sake of your name. let your strong arm reprieve those condemned to die. will give you thanks for ever and ever. We will tell your praise from age to age. 1457 According to the Church’s command, “after having attained the age of discretion, each of the faithful is bound by an obligation faithfully to confess serious sins at least once a year.” Anyone who is aware of having committed a mortal sin must not receive Holy Communion, even if he experiences deep contrition, without having first received sacramental absolution, unless he has a grave reason for receiving Communion and there is no possibility of going to confession. Children must go to the sacrament of Penance before receiving Holy Communion for the first time. Whoever confesses his sins . . . is already working with God. God indicts your sins; if you also indict them, you are joined with God. Man and sinner are, so to speak, two realities: when you hear “man” – this is what God has made; when you hear “sinner” – this is what man himself has made. Destroy what you have made, so that God may save what he has made. . . . When you begin to abhor what you have made, it is then that your good works are beginning, since you are accusing yourself of your evil works. The beginning of good works is the confession of evil works. You do the truth and come to the light. Cyril of Jerusalem (Greek: Κύριλλος Α΄ Ἱεροσολύμων, Kýrillos A Ierosolýmon; Latin: Cyrillus Hierosolymitanus) was a distinguished theologian of the early Church (c. 313 – 386 AD). He is venerated as a saint by the Roman Catholic Church, the Eastern Orthodox Church, and the Anglican Communion. In 1883, Cyril was declared a Doctor of the Church by Pope Leo XIII. He is highly respected in the Palestinian Christian Community. Have mercy on us, O Lord, for we have sinned. 1435 Conversion is accomplished in daily life by gestures of reconciliation, concern for the poor, the exercise and defense of justice and right, by the admission of faults to one’s brethren, fraternal correction, revision of life, examination of conscience, spiritual direction, acceptance of suffering, endurance of persecution for the sake of righteousness. Taking up one’s cross each day and following Jesus is the surest way of penance. 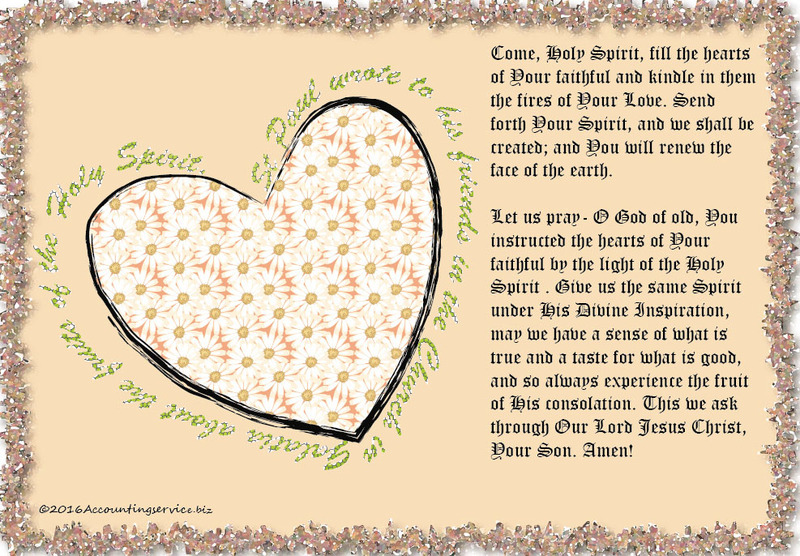 1437 Reading Sacred Scripture, praying the Liturgy of the Hours and the Our Father – every sincere act of worship or devotion revives the spirit of conversion and repentance within us and contributes to the forgiveness of our sins. 1438 The seasons and days of penance in the course of the liturgical year (Lent, and each Friday in memory of the death of the Lord) are intense moments of the Church’s penitential practice. These times are particularly appropriate for spiritual exercises, penitential liturgies, pilgrimages as signs of penance, voluntary self-denial such as fasting and almsgiving, and fraternal sharing (charitable and missionary works). 1439 The process of conversion and repentance was described by Jesus in the parable of the prodigal son, the center of which is the merciful father: the fascination of illusory freedom, the abandonment of the father’s house; the extreme misery in which the son finds himself after squandering his fortune; his deep humiliation at finding himself obliged to feed swine, and still worse, at wanting to feed on the husks the pigs ate; his reflection on all he has lost; his repentance and decision to declare himself guilty before his father; the journey back; the father’s generous welcome; the father’s joy – all these are characteristic of the process of conversion. The beautiful robe, the ring, and the festive banquet are symbols of that new life – pure worthy, and joyful – of anyone who returns to God and to the bosom of his family, which is the Church. Only the heart of Christ Who knows the depths of his Father’s love could reveal to us the abyss of his mercy in so simple and beautiful a way. Ash Wednesday, a day of fasting, is the first day of Lent in Western Christianity. It occurs 46 days (40 fasting days, if the six Sundays, which are not days of fast, are excluded) before Easter and can fall as early as February 4 or as late as March 10. Ash Wednesday is observed by many Western Christians, including Anglicans, Lutherans, Methodists, Presbyterians, and Roman Catholics. According to the canonical gospels of Matthew, Mark and Luke, Jesus Christ spent 40 days fasting in the desert, where he endured temptation by Satan. Lent originated as a mirroring of this, fasting 40 days as preparation for Easter. Every Sunday was seen as a commemoration of the Sunday of Christ’s resurrection and so as a feast day on which fasting was inappropriate. Accordingly, Christians fasted from Monday to Saturday (six days) during six weeks and from Wednesday to Saturday (four days) in the preceding week, thus making up the number of 40 days. Orthodox do this 40 days in a row. those who wait on her early will be filled with happiness. and wherever he walks the Lord will bless him. and whoever pays attention to her dwells secure. and reveal her secrets to him. and hand him over to his fate. all that I do is before you. for your commands are just.